Polytetrafluoroethylene (PTFE) is a fluoropolymer designed for use in applications that require high temperature stability and durability encompassed in a non-stick finish. RothGreaves line of finishes includes DR-95Z, DR-96, DR-97, DR-472, and DR-00 coatings. So smooth you’ll feel the difference, these glass-like finishes are perfect for bonding and molding of thermoplastics, injection molding, adhesive bonding, and any manufacturing tooling requiring a high temperature, easy-release non-stick finish. The superior durability and finish of RothGreaves DR coatings places them amongst the best for most reliable release finishes available. Capable of withstanding temperatures up to 600° F.
RothGreaves PTFE finishes come in five variations. 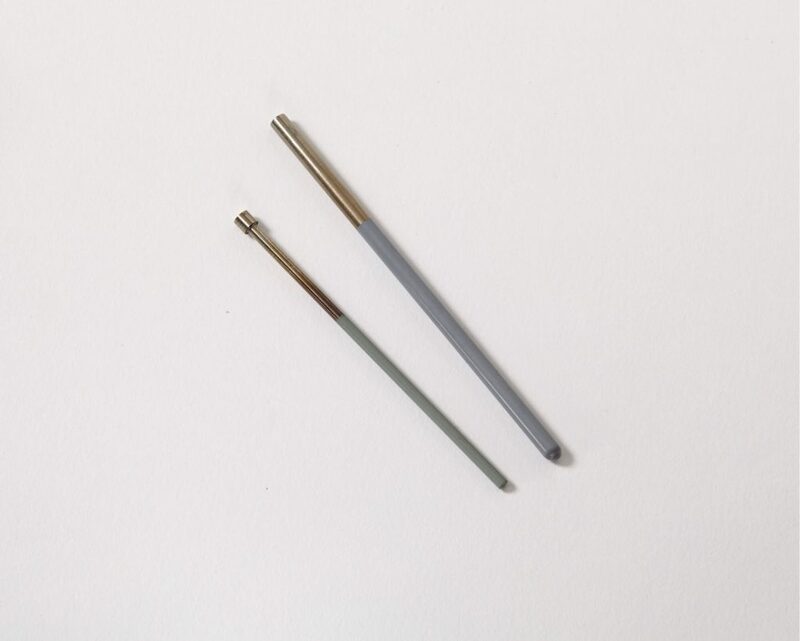 They are most commonly used for medical, manufacturing, and processing applications, including coated wire, coated mandrels and anti-corrosion. DR 95Z has increased flowability and is recommended for parts with complicated profiles, challenging contours, sharp edges as well as for ID coatings. DR 96 is a color variant recommended in applications where a green finish is desirable. DR 97 is a variation with similar properties to the DR 95Z that can see increased durability on straight or only slightly tapered parts. DR 472 is a color variant recommended in applications where a blue finish is desirable that includes the increased durability similar to the DR 97. CAUTION: The finish is cured at an elevated temperature and may cause changes in the properties of certain metals. All of our industrial coating services are backed by our industry leading warranty. RothGreaves & Associates is the exclusive source for manufacturing and application of DR line of PTFE. RothGreaves proprietary DR-95Z, DR-96, DR-97, DR-472, and DR-00 finishes are special purpose Polytetrafluoroethylene coatings designed for use in applications that require a high temperature, durable, non-stick finish. The finish is applied from a liquid formulation. The cured coating has strong release properties for plastic bonding and molding operations and can withstand heat up to 600°F. 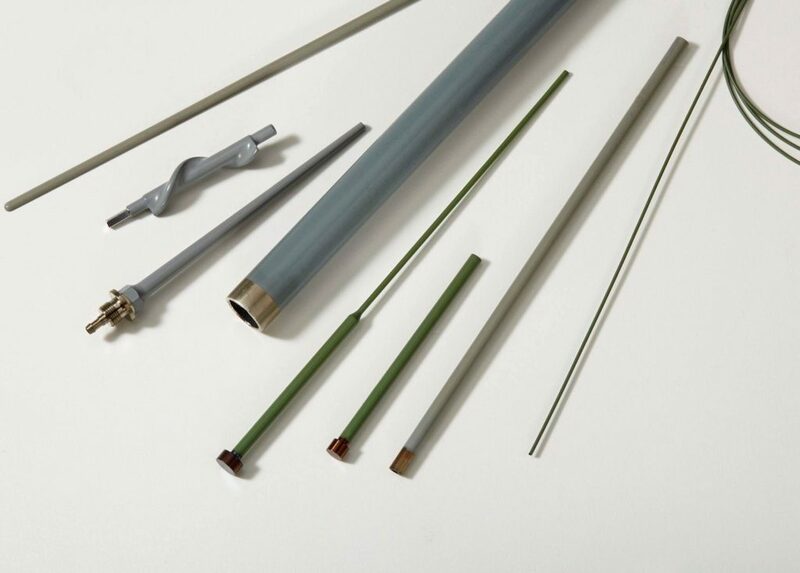 The cured finish is biocompatible and has passed USP Plastic Class VI testing, making it suitable for use in the manufacturing of food contact products and medical devices. RothGreaves DR PTFE Finishes are not recommended for the use in implantable medical devices, but are safe for use with non-implantable medical devices. The material is applied at a typical thickness of 0.0003” and has excellent adhesion to most metal substrates. RothGreaves DR coatings and the application methods are the property of RothGreaves & Associates, Inc.
To ensure the highest quality finish, careful preparation of the substrate is required. Each part is thoroughly cleaned with a special agent to remove any contamination and to activate the surface for maximum adhesion. Where the highest adhesion is required, a grit blast of the surface with 150-micron media prior to cleaning ensures the best adhesion. DR Finishes require two curing cycles throughout the application process, both at a temperature of 750°F. The high temperature is required to achieve the proper sintering and adhesion. Be aware that elevated temperatures can cause undesirable changes in some metal substrates. RothGreaves DR coatings are resistant to most solvents; but some strong acids or bases may cause deterioration of the finish. RothGreaves DR coatings can be reapplied to metal substrates after removal of residual coating. Mechanical methods that include polishing, grit blasting and scraping can be used to remove the finish. However, chemical methods are hazardous and should be avoided. Contact us today to receive a custom quote and free sample.